The Academy of Adoption and Assisted Reproduction Attorneys (AAAA) has partnered with The Adoption Exchange for over a decade to recruit families for children who have survived abuse and neglect and now need a permanent adoptive home. The Adoption Exchange is a non-profit 501(c)(3) child welfare organization that was founded in 1983 to help establish safety and permanence in the lives of foster children. Headquartered in Colorado, The Adoption Exchange now operates in Missouri, Nevada, and Utah, as well. Oklahoma, South Dakota and Wyoming are also participating member states. Every other Wednesday, AAAA posts on its listserv children listed by the Adoption Exchange as needing adoptive homes. Together through this Wednesday’s Child Program, AAAA and The Adoption Exchange are working towards creating a world where every waiting child will find a permanent family. AAAA believes that the active and enthusiastic participation by our membership in this project serves both the children waiting for adoption and helps clients who are building their families through adoption. Nationwide, 114,000 children are waiting for an adoptive home. By having AAAA involved in this project, AAAA can successfully aid some of these children in finding permanent homes. AAAA does a fantastic job helping to place infants in wonderful homes and we hope, through this project with Wednesday’s Child, to reach out and help these children find forever homes. 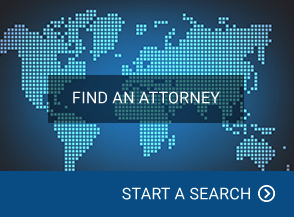 If you are interested in adoption and are not currently working with an attorney, please contact one of our Fellows near you using our Directory. If you are interested in pursuing a particular child, contact your AAAA attorney and Sara Bennett at The Adoption Exchange at sbennett@adoptex.org or 303-755-4756 (ext. 221) for more information about adopting a particular child. Please do not contact AAAA directly as your attorney and Sara will be the contact persons in all matters regarding Wednesday's Child. In most cases, Sara will provide you or your attorney with the child's caseworker contact information to send your home study and profile. Your attorney can assist you in requesting medical, social, developmental, educational, and psychological information about the child. Typically, once the child's caseworker receives the home study (and possibly profile), the caseworker will usually respond within 30 days, although this time frame can often be expedited. If a successful match is made, you, your attorney, and the child's caseworker will develop a transition plan to successfully integrate the child into the adoptive home. Your AAAA attorney would be involved in finalizing the adoption and possibly negotiating the adoption subsidy too (if applicable). Please note that there are no placement fees associated with these cases.